Earlier this week I told you about what I’m dubbing as the Bay Area’s “Super Volunteer Weekend”, with numerous volunteer and charity walks taking place all over the region. Beautiful Day and Compassion Weekend alone could attract more than 10,000 volunteers. 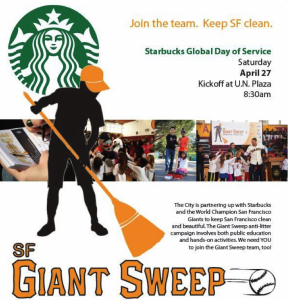 Now add a “Giant Sweep” event on Saturday, April 27, sponsored by the San Francisco Giants, the City of San Francisco, and Starbucks. 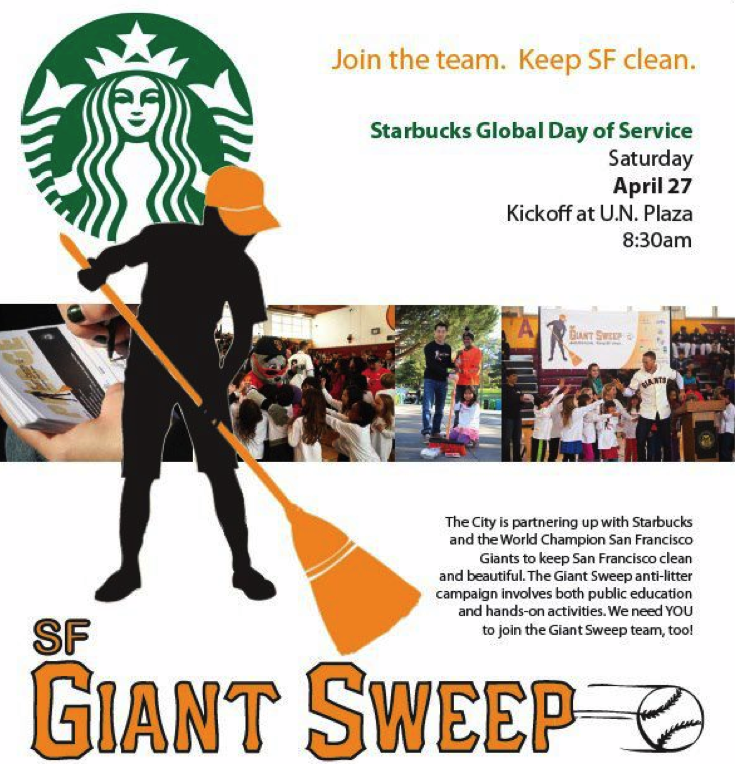 I don’t normally visit Starbucks, so I”m not surprised I missed the news that the company declared April as the “Global Month of Service,” and Saturday, April 27, as the “Global Day of Service”. It’s all part of a community service initiative of Starbuck’s to rack up 1 million hours of community service amongst participating staffers and patrons by the year 2015.